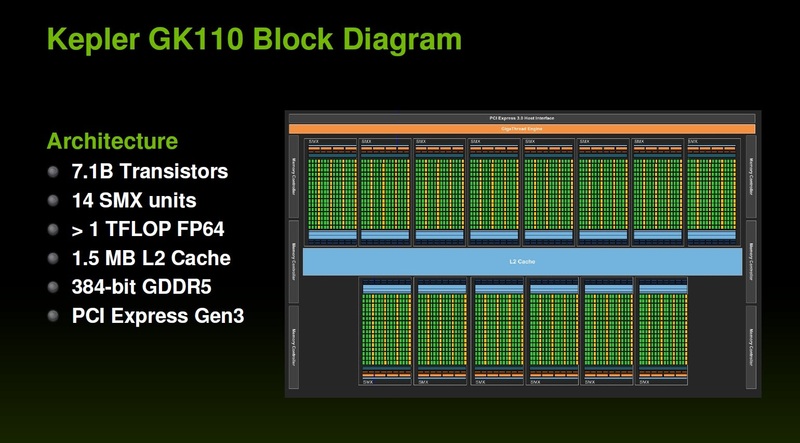 It was already pointed out that NVIDIA would launch a new flagship GPU known as the GeForce Titan in February 2013. The reports were correct and the launch date of the GK110 mammoth has been confirmed as 18 February. 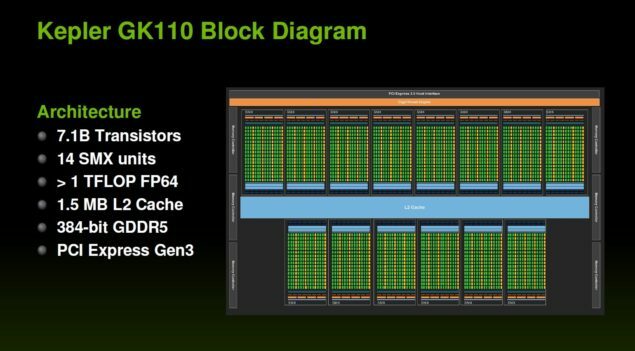 also the final specifications of the GPU have been revealed. As for the design scheme, the cooler used on GeForce Titan would be built using high quality aluminum alloy metal and the GPU core itself would be strapped underneath a vapor chamber cooler. The previously released performance numbers are being said to be legit which show that the card is almost on par with a GeForce GTX 690 and upto 60% better against the GeForce GTX 680 (current single chip flagship GPU). Power consumption would come around the 235-250W limit with a single 8-Pin and 6-Pin connector providing juice to the GPU core. So the launch date is 18th February, it is being said that only a paper launch would occur with retail availability around 24-26th February. The GeForce Titan would be available in limited quantities as expected from a high-end flagship card and would be limited to certain manufacturer’s such as EVGA, ASUS, MSI. Pricing is said to be around the $1000 mark but you could never be too sure about NVIDIA’s pricing scheme.